Summary: Frightening or tragic life events happen to almost everyone at some point. People react to traumatic events in different ways. After the event, some experience symptoms of distress such as anxiety and insomnia, but these usually are short-lived and subside over time. However, some individuals may develop posttraumatic stress disorder (PTSD), with persistent symptoms such as re-experiencing (e.g. flashbacks, nightmares, inability to stop thinking about the trauma), avoidance of reminders (i.e. ‘triggers’) of the trauma, and autonomic hyperarousal. Primary care providers can play a key role in 1) early identification of patients with PTSD; 2) referring to appropriate supports and services. How common is trauma? Trauma is very common, with 90% of the population has been exposed to a traumatic event (as defined by DSM-5) (Kilpatrick, 2013). Resiliency factors such as having strong attachments and social supports reduce the likelihood of PTSD. Risk factors such as more severe trauma, or repeated trauma and lack of social supports increase the risk of having PTSD. Nonetheless, a significant percentage ranging from 5% in the general population, to between 12.5-25% of those in primary care settings do meet criteria for PTSD. Patients do not typically volunteer information about a traumatic event or their PTSD symptoms unless you directly ask. Symptoms usually begin within the first 3 months following the trauma. Symptoms can mimic anxiety and depressive disorders. More rarely, there may be a delay of months or even years before criteria for the diagnosis are met. As a result, primary care providers can play a key role in early intervention by keeping a high index of suspicion in those at risk of developing PTSD. Have you experienced any traumatic situations or events in your life? Do you find it hard not to think about the event that happened to you? Do you have nightmares related to the event that happened to you? Do you have flashbacks and by that I mean very vivid daydreams about the event that happened to you? When something happens that reminds you of the event that happened to you, does it trigger a strong reaction? Do you avoid things that remind you of the event you experienced? Since the event, have you been feeling hypervigilant? startling easily? having trouble sleeping? Do you feel that this event and the way it has left you feeling still gets in the way of your life? Any thoughts that life isn’t worth living? Any plans to end your life? Are there any people that pose a risk to you? Any thoughts of harming others? If the patient is ready to talk, being able to do imaginal exposure is an important part of trauma therapy. 1) Have had nightmares about it or thought about it when you did not want to? 2) Tried hard not to think about it or went out of your way to avoid situations that reminded you of it? 3) Were constantly on guard, watchful, or easily startled? 4) Felt numb or detached from others, activities, or your surroundings? 5-item screen designed for use in primary care settings (Prins et. al 2015). 1. Had nightmares about the event(s) or thought about the event(s) when you did not want to? 2. Tried hard not to think about the event(s) or went out of your way to avoid situations that reminded you of the event(s)? 3. Been constantly on guard, watchful, or easily startled? 4. Felt numb or detached from people, activities, or your surroundings? 5. Felt guilty or unable to stop blaming yourself or others for the event(s) or any problems the event(s) may have caused? 10-item questionnaire with 5 re-experiencing and 5 arousal items (Brewin et. al 2002). In the past week, have you experienced any of the following at least TWICE? G. Disturbance causes clinically significant distress or impairment in social, occupational, or other important areas of functioning. H. Disturbance is not attributable to physiological effects of a substance or another medical condition. The disturbance lasts for a minimum of three days and a maximum of one month following the exposure to traumatic event. Essentially same symptoms as PTSD. May be a precursor to PTSD. Avoidance, irritability and anxiety of GAD are not associated with a specific traumatic event. While in OCD there are recurrent, intrusive thoughts, the types of thoughts are distinguishable. Thoughts associated with OCD usually are not related to a traumatic event. Major depression may or may not be preceded by a traumatic event and should be diagnosed if other PTSD symptoms are absent. Both PTSD and adjustment disorder manifest with distress that develops after exposure to a stressor, however in PTSD the stressor is a traumatic event of severity and type defined in criterion A. Any problems with sad moods? Any problems with alcohol or substances? Any problems with chronic pain? Any physical complaints? Any problems with feeling lonely or abandoned? Any periods where you ‘black out’ or ‘lose time’? Any problems with oppositional behaviours? Separation anxiety disorder Any problems with separation from adults? Is it within 4-weeks following a trauma? E.g. if your patient has been assaulted by a partner, does the patient need a safe place to live? Do police need to be involved? Does CAS need to be involved for any children? Is it beyond 1-month following a trauma? Provide directions and referrals to mental health services and supports (e.g. peer support groups). Does it appear to be mild to moderate PTSD without significant comorbidity? Does it appear to be severe and chronic PTSD? Given that PTSD can cause autonomic arousal, be cautious around medications that increase adrenaline such as stimulants. Validate that if the person does not want to talk about the event, this is their attempt to cope. Do not insist that the patient ‘needs to talk about it’. The reactions seen after trauma are simply a normal response to an abnormal event. If one does have PTSD, note that it is a common condition (~10% in the general population) and it is treatable. EMDR is a type of ‘subcortical’ treatment that aims to reprocess one’s traumatic memories from emotionally distressing memories, to less distressing and emotionally laden memories. Patients are asked to think about their traumatic memory, while being undergoing bilateral stimulation (which may be visual, auditory or tactile). Related ‘subcortical’ treatments that show promise include brainspotting and progressive counting. For patients with mild to moderate symptoms (i.e. non-complex PTSD), many primary care providers may feel comfortable providing elements of trauma care. For example, a patient who is unable to drive following a motor vehicle crash. Consider medications if psychotherapy has already been tried, but has not been successful. References: Katzman M: The Canadian Clinical Practice Guidelines for the Management of Anxiety, Posttraumatic stress and Obsessive-compulsive disorders, 2014; dosage information from the Compendium of Pharmaceuticals and Specialties (CPS). Given your patient’s distress during procedure, you stop the exam. You acknowledge and validate her distress. You leave her with your (female) nurse. Your nurse leaves after a few minutes to give your patient some time to recollect herself. After a few minutes, your nurse comes back out and speaks with you discreetly. The patient is apologetic and has disclosed to your nurse that she was sexually abused as a child by a relative. You thank her for her disclosure and ensure that she books a longer follow-up appointment in order to discuss how you might be helpful to her. At the visit, she gives you a history consistent with symptoms of PTSD. 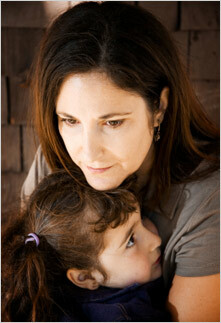 You provide her information about local services and supports for past trauma. You make a notification in her medical record so that all staff in the clinic can provide trauma-informed care. 3. Which medication has been shown to be effective for reducing trauma nightmares in patients with PTSD? 4. M. was walking home alone after a night out and suffered a physical assault in a dark alley. Months later, she refuses to go out at dark alone. She is constantly on red alert, especially when crossing the road. What symptom of PTSD does this best indicate? a. Encourage your patient to talk about it. b. Support your patient’s coping. Katzman et al. : Canadian clinical practice guidelines for the management of anxiety, posttraumatic stress and obsessive-compulsive disorders. BMC Psychiatry 2014 14(Suppl 1): S1. Post-traumatic stress disorder: management, 2005. NICE Guideline. Clinical Practice Guideline for the Treatment of Posttraumatic Stress Disorder (PTSD) in Adults. American Psychological Association, 2017. Retrieved May 25, 2017 from https://www.apa.org/about/offices/directorates/guidelines/ptsd.pdf. PTSD Pocket Guide - VA/DoD Clinical Practice Guidelines, 2013. American Psychiatric Association (2013). Diagnostic and statistical manual of mental disorders, 5th ed. Washington: American Psychiatric Publishing. Brewin CR, Rose S, Andrews B, et. al (2002).Brief screening instrument for post-traumatic stress disorder. British Journal of Psychiatry, 181:158–162. Freedy JR, Brock CD. Spotting and treating PTSD in primary care. The Journal of Family Practice. 2010; 59(2): 75-80. Holmes EA, James EL, Kilford EJ, Deeprose C (2010). Key steps in developing a cognitive vaccine against traumatic flashbacks: visuospatial Tetris versus verbal Pub Quiz. PLoS One, 5(11):e13706. Kessler RC, Sonnega A, Bromet E et. al (1995). Posttraumatic stress disorder in the National Comorbidity Survey. Archives of General Psychiatry, 52:1048–1060. Kilpatrick D et al. : National Estimates of Exposure to Traumatic Events and PTSD Prevalence Using DSM-IV and DSM-5 Criteria, J. Trauma Stress. 2013 Oct; 26(5): 537-457. Kung S, Espinel Z, Lapid M (2012). Treatment of nightmares with prazosin: a systematic review. Mayo Clinic Proceedings, 87(9):890 - 900. Lange JT, Lange CL, Cabaltica RBG. Primary Care Treatment of Post-traumatic Stress Disorder. Am Fam Physician. 2000; 62(5): 1035-1040. Richardson JD, McIntosh D, Stein MB, Sareen J. Post traumatic Stress Disorder: Guiding Management with Careful Assessment of Comorbid Mental and Physical Illness. CANMAT: Mood and Anxiety Disorders Rounds. 2010; 1(6). Spottswood M, Davydow DS, Huang H. (2017). The Prevalence of Posttraumatic Stress Disorder in Primary Care: A Systematic Review. Harvard Review of Psychiatry, May 26. Wallace D, Cooper J. Update on the management of post-traumatic stress disorder. Australian Prescriber. 2015; 38(2): 55-59. Written by Omar Anjum (University of Ottawa Medical Student, Class of 2018), Dr. Jakov Shlik (Psychiatrist, Royal Ottawa Mental Health Centre), Dr. Jon Davine (Psychiatrist, McMaster University), Talia Abeccasis (uOttawa Medical Student, Class of 2017). Reviewed by the eMentalHealth.ca Team.